Orion Movers offers junk removal and recycling services for commercial clients in LA, California that include complete warehouse, office, and retail space cleanout services from A – Z. 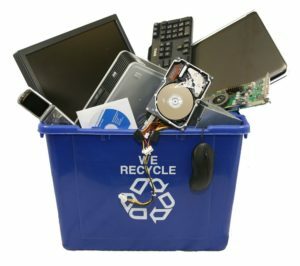 This involves removing all undesired items from a commercial space like furniture, partitions, workstation cubicles, racking and shelving systems, electronics and computer systems, industrial machinery, etc. We also remove all of your junk including paper products, office supplies, and other miscellaneous non-hazardous trash and debris. Our services also include basic cleaning like vacuuming, sweeping and mopping floors/carpeted areas, and whipping off the countertops of your warehouse/office after you have moved out, downsized or remodeled. At Orion Movers, our environmentally friendly approach to junk removal and recycling is sure to be in line with all your junk removal needs, regardless of small or big they may be. Planning to declutter your commercial space? Give us a call today and our team of experts will be by your side in no time to get the job done. Our junk removal services provide an easy and quick solution for all your hauling requirements.